On their latest effort, Xiu Xiu express their grave existential concerns in a structured, disciplined pop format, managing to sound palatable and even fun without diminishing any of their gravity or darkness. For being one of Xiu Xiu's poppiest and most accessible works to date, Forget is awfully concerned with death and its immediate physical aftermath. Whose death exactly remains a fluctuating and unstable variable. On "Jenny GoGo", Jamie Stewart's shivering, hushed vocals fret over what appears to be a recent murder victim whose fate he cannot process, whispering, "What have I done?" and "Take me instead". "Get Up", in contrast, portrays the demise of Stewart himself, the victim of a piano falling from the sky. "If you leave, no one will find my corpse," he pleads. The lyrical morbidity serves only to justify and reinforce what is already evident in the music itself. Stewart's bruised, whimpering voice has an unsettling brokenness to it, and even without attending to his words it is clear that he sings as someone pushed beyond the brink of psychological limitations. The unsteady cadence and timbre of his delivery mirror that of a person crying, a likeness most singers tend to avoid given that it makes people pretty uncomfortable. 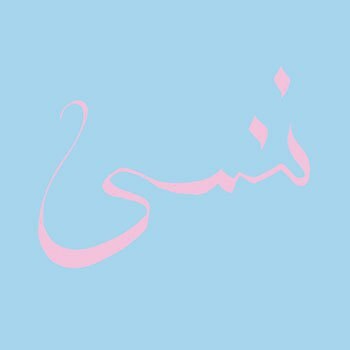 On their latest effort, however, Xiu Xiu express their grave existential concerns in a structured, disciplined pop format, managing to sound palatable and even fun without diminishing any of their gravity or darkness. Forget's first two singles, "Wondering" and "Jenny GoGo", are among the best and most focused offerings Xiu Xiu have ever released. The former plays like the warped mirror image of a euphoric pop-rock song with a surprisingly delicate melodic sensibility, like Cold Cave's "Life Magazine" sent through the shredder several times. If "Wondering" is the album's lightest and warmest moment (relatively speaking), "Jenny GoGo" is its chilly, rigid, industrial counterpart, with stray fits of madness punctuating its icy encasing. Both songs have a disturbed flamboyance to them that echoes the paranoid glam of Diamond Dogs-era David Bowie. While these two tracks are the most obvious and immediate manifestations of goth-pop majesty on here, Xiu Xiu use a similarly successful approach throughout the album to tie it all together into a remarkable work of art. What at first sounds like chaos on provocative opener "The Call" gradually coheres into memorable, even catchy patterns. "Get Up" has a dreamy rockabilly vibe that could easily be performed at the Twin Peaks Roadhouse, suggesting Xiu Xiu may have taken a few notes from their rework of the show's soundtrack last year. Meanwhile the album's stunning climax, title track "Forget", is an austere, imposing megalith with an earth-shattering synth line matching Nine Inch Nails' The Downward Spiral every bit for its captivating menace. Despite how prominently Stewart's vocal style informs the band's sound, his is neither the first nor the last voice we hear on Forget. The album begins abruptly with a short spasm of spiteful rapping on "The Call", and at the tail end of eight-minute denouement "Faith, Torn Apart" we are left with the recitation of a defiantly genderqueer poem. This latter contribution makes for one of the most fascinating entries on the album, with flippant and irreverent lines like, "My bikini looks dumb" and "Champagne is for my real friends" somehow accumulating into a radical manifesto, culminating in the Lana Del Rey shout out that closes the album: "I was born dead, and I was born to die." The ambiguous interplay between the serious and the unserious, and the refusal to conform to the norms of respectability, are hallmarks of disruptive queer speech deployed here with precision. Thus, Xiu Xiu conclude this existential work on a surprisingly sociopolitical note; though it may be unexpected, it feels not the slightest bit out of place. Forget leaves us as one of the band's tightest and most consistent works yet, its grimness belied yet also supported by the impeccable pop framework sustained throughout.